Surprise! 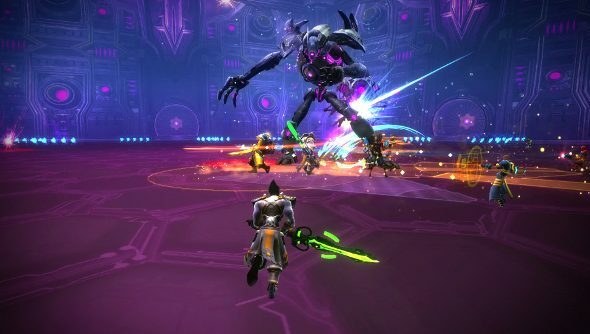 There’s a big Wildstar update coming, and there will be a full reveal tomorrow, January 4. Keep on questing with our list of the best MMORPGs. 2016 saw some big changes come to the free-to-play MMO, with a big expansion released, the World Story continued in Vault of the Archon, an updated tutorial added, a Steam launch, more customisation added with Heroes Evolved, a new raid released with Redmoon Terror, and also followed up with part two, Redmoon Mutiny. It’s not clear what’s coming next, but the MMO with the most in-depth housing system in RPG Land is clearly getting something significant. It’s big enough to tease, at least. The last major update came in March last year, withthe Destination Arcterraexpansion.